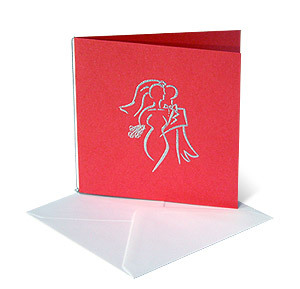 A greeting card is still the nicest way to send " all good wishes" "whatever the occasion" to your friends, whether personal or business associates. Orange pearlescent card with motif of Contemporary Bride & Groom embossed in silver on front. This card is held together with a silver string at the side. Comes with a white envelope. 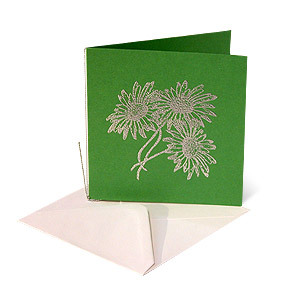 Green pearlescent card with motif of bunch of daisies embossed in silver on front. This card is held together with a silver string at the side. Comes with a white envelope. 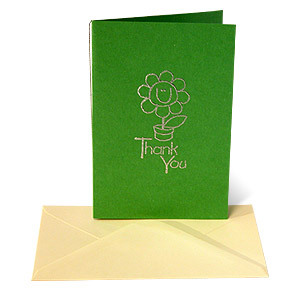 Green pearlescent card with motif of Happy flower & thank you embossed in silver on front. This card is held together with a silver string at the side. Comes with a cream/white envelope. 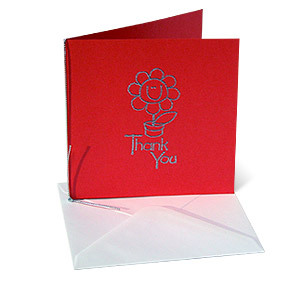 Orange pearlescent card with motif of Happy flower & thank you embossed in silver on front. This card is held together with a silver string at the side. Comes with a cream/white envelope. 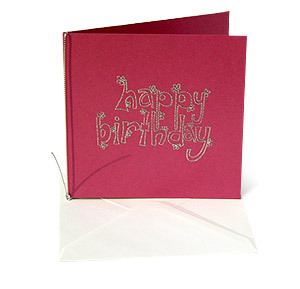 Violet pearlescent card with motif of Happy Birthday flowers embossed in silver on front. This card is held together with a silver string at the side. Comes with a white envelope. Violet pearlescent card with motif of wedding day faces embossed in silver on front. 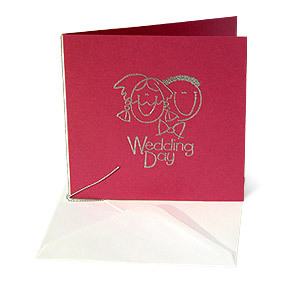 This card is held together with a silver string at the side. Comes with a white envelope. A card for all occasions. 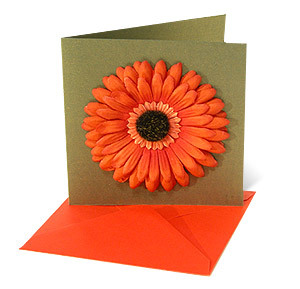 Antique rust card with a large fusion orange gerbera on front - giving that 3D look.